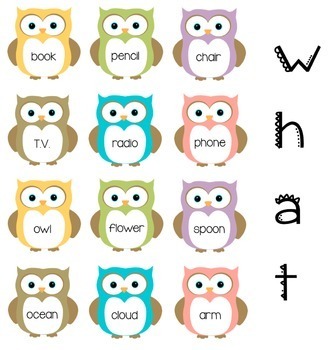 Get your students working with the 4 (not 5) W's - who, what, when, and where. 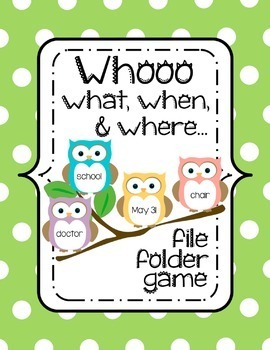 With this file folder game, they will understand what each W means. "Why" is not included since I thought it was a little too advanced for youngsters. However, if you'd like to me add it in - please message me. 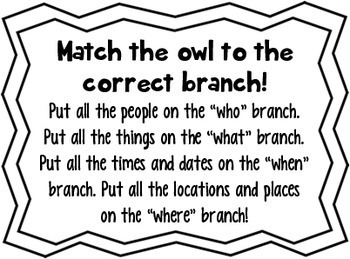 Simply match the owl to the branch. Print 4 branches and use two folders.